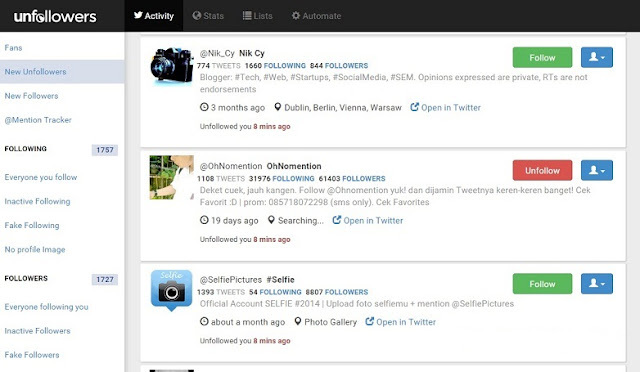 UnFollowers allows you to see not only who unfollowed you on Twitter but also on Instagram. After signing in with your Twitter account, you can see who unfollowed you in the column on the left side. In that column you can see info such as who is not following you back, who recently unfollowed you, who recently followed you and more. There are other alternatives like Crowdfire for Twitter, Who Unfollowed Me, Friend or Follow, Manage Filter that helps you track unfollowers!